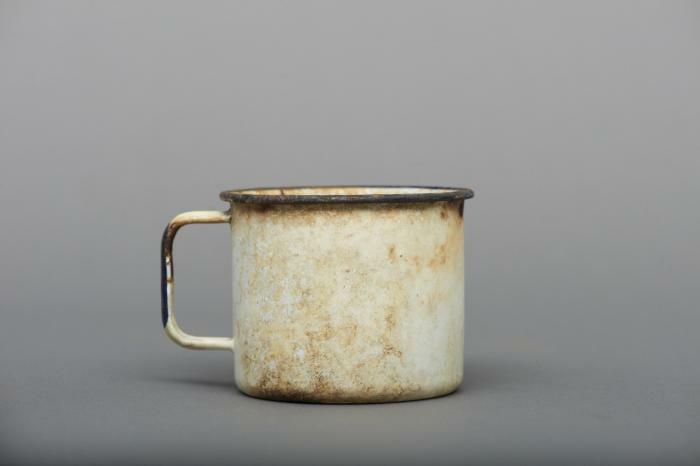 DescriptionWhite enamelled tin cup with two long cuts at the bottom of the cup. NoteRecovered by Gerry Waldston fifty years after his release from Camp 70 (Ripples, New Brunswick). It was used for breakfast, where the internees were given “birdseed” (corn flakes).